Every bride wants her special day to be unique, and now, engaged couples have the opportunity to make their own wedding rings. Abigail is offering the unique chance for couples to come to her studio in Mawnan Smith, Cornwall and spend a day making each other’s wedding rings. This is a unique opportunity for couples who want to add an extra special element to their big day. You will be able to design the rings and be involved in the ring making process which will personalise the rings far more than simply buying a pre-made design. This experience can be as special as the wedding day itself! Step 7: Shaping the ring - Is it round?! Course costs start from £1200 for two 18ct yellow gold rings. The cost may vary depending upon the design requirements. The process begins with an initial discussion about design ideas, metal requirements and mutually agreeable course dates and costs. 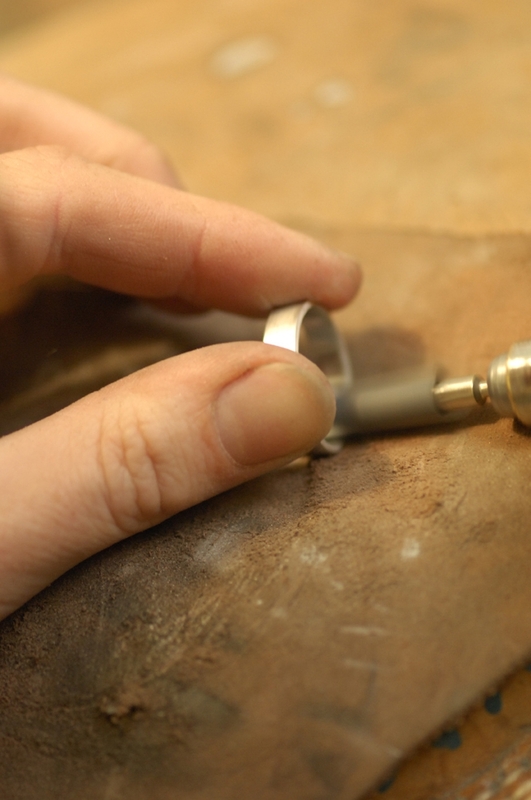 After the rings are completed the rings can be sent for hallmarking (at additional cost) and will be posted back to you within 2-4 weeks of the course completion. No previous jewellery making experience is necessary as Abigail will provide expert guidance for you to create your personalised rings and help to ensure it becomes a memorable experience for you both to share forever. “Making our wedding rings with Abi's help really was a special experience for my now husband Ben and I. We had wanted something a little more personal and special and Abi's guidance and advice was fantastic. She helped us choose the type of metal we used and the shape and design and guided us through the process from start to finish. The rings we made are absolutely beautiful and are just so priceless to us because we actually made them for each other. We also have a fantastic start to our wedding album because we were able to take photos of ourselves throughout the process making our special rings. It really was a fantastic, memorable experience and we can't thank Abi enough for helping us to create the perfect wedding.” Kelly Rowe. September 2008 bride. 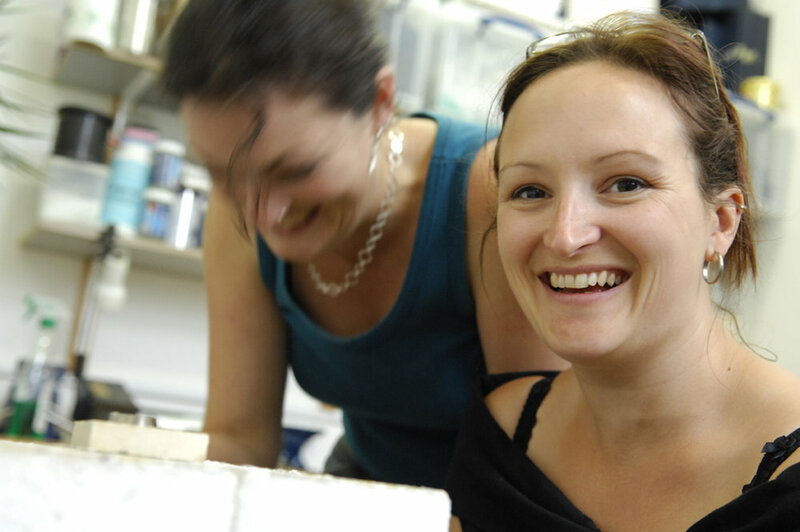 Abigail is an experienced Designer Jeweller and Silversmith. She began teaching jewellery making techniques in 2004 at Edinburgh College of Art, and has been taught Jewellery, Silversmithing and Metalwork at hobbyists, undergraduates, graduates and professionals alike, encouraging an environment of fun whilst striving for excellence within the student's achievements. Abigail established her workshop in Cornwall in 2005. If you do not live in Cornwall, Abigail can provide a list of accommodation and restaurants so you can make the experience into a holiday or short break. Her workshop is ideally located for access from a number of popular Cornish destinations including St. Ives, Falmouth, St. Agnes and Truro. 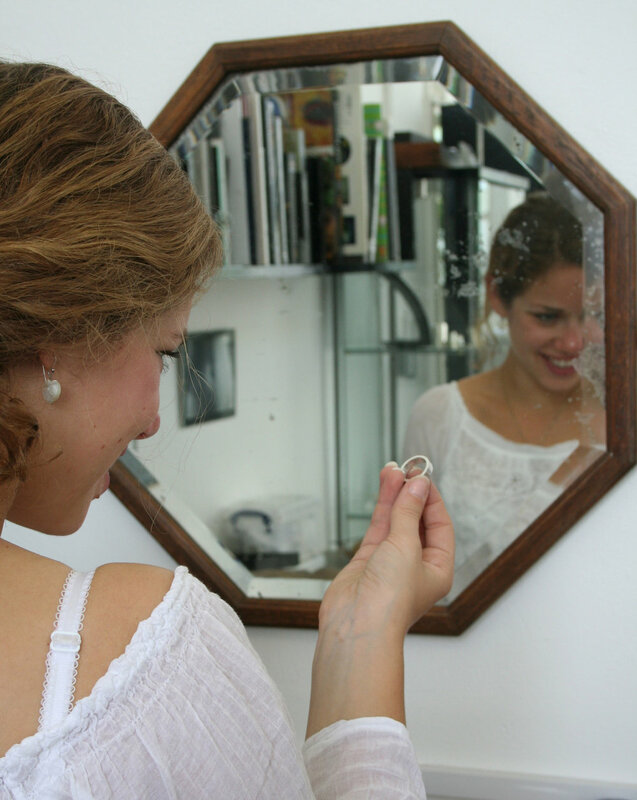 Abigail also works to commission for both wedding rings and bridal jewellery.